Uh-oh: you wake up one morning with the telltale signs that you are coming down with something. Your throat is sore, you can barely breathe out of your nose, and you have a nagging cough. Before you jump to the store and brood over the myriad choices in the medicine aisle, you may want to check your pantry—there's a high chance that you've already got what you need in order to fight off germs and send you on a quick path to recovery. 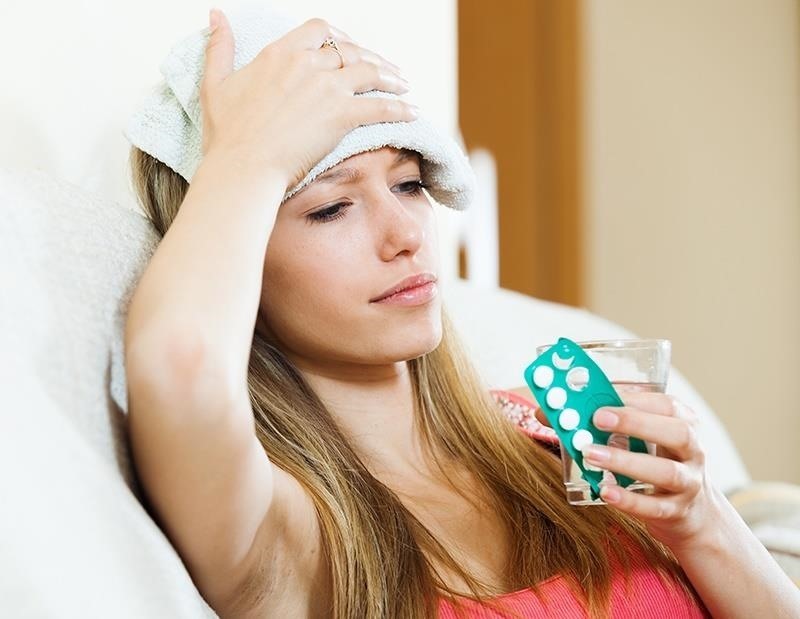 These natural ingredients are powerful tools against that nasty cough or cold that just won't go away, and form the foundation of the homemade concoctions listed further below. Ginger: Helpful for eliminating toxins from your body when you are fighting a cold (or flu). Ginger also helps with any digestive distress caused by invading viruses or bacteria. Lemon: High in Vitamin C, this citrus fruit is a key ingredient to strengthening the immune system and helping keep free radicals at bay. Lemon also helps minimize swelling and inflammation throughout the body. Garlic: Garlic is good for colds; its oils enter the respiratory system via the bloodstream and act as a great decongestant. Apple cider vinegar: This vinegar contains potassium, which thins mucus and makes it great for fighting the common cold. 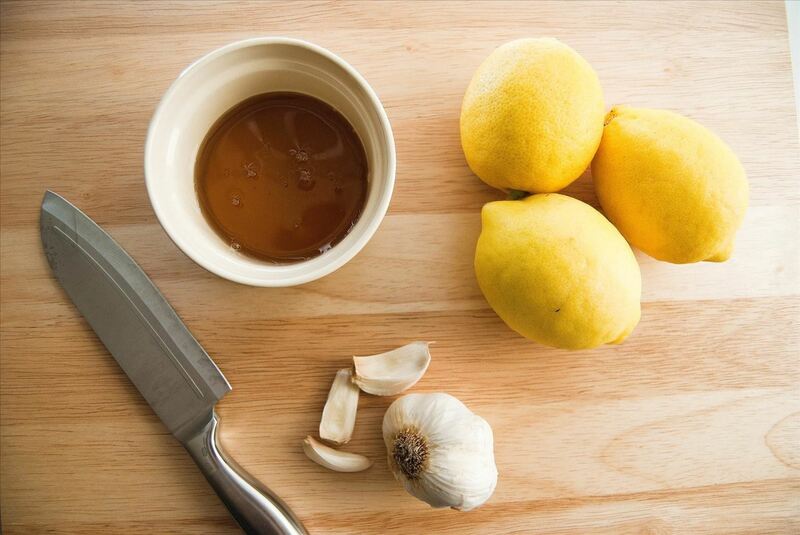 If you can stomach the bitter taste, mixing a few tablespoons of it with a cup of warm water, a tablespoon of honey, and a lemon slice should keep unwanted germs at bay. And now, here are a few easy recipes that combine these awesome, cold-busting ingredients! 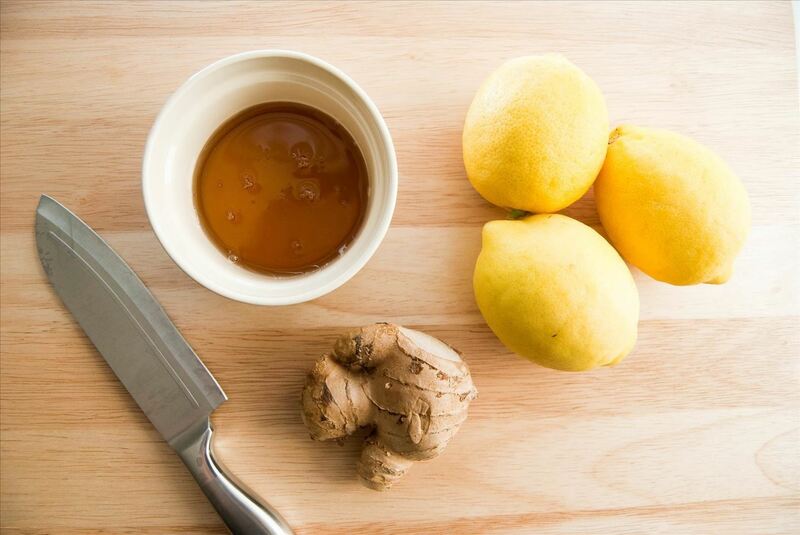 This immune-system boosting concoction makes perfect use of the healing properties of ginger, honey, and lemon. It can be made in large batches and stored in the refrigerator until needed. Cut up the lemons and ginger. Put the lemon and ginger slices in the mason jar, alternating between the two. 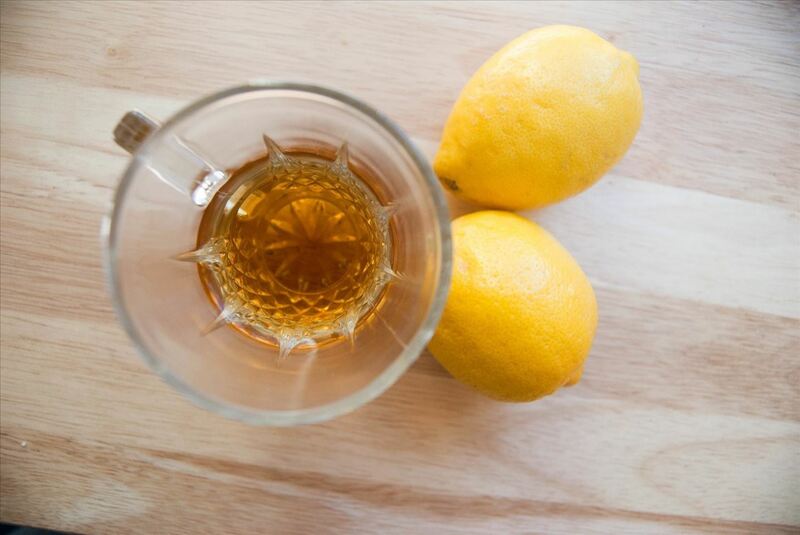 Carefully, pour the honey over the lemon and ginger. Wait for the honey to go to the bottom of the jar, coating the lemon and ginger slices in the process. Seal the jar tightly and store in the refrigerator. Eventually, the mixture will transform into a jelly-like consistency. When needed, scoop 2-3 tablespoons into a cup full of hot water; be sure to get some whole pieces of ginger and lemon as well. Allow 3-4 minutes to steep. A traditional Spanish recipe substitutes garlic for ginger; as mentioned earlier, it is a great natural decongestant for that persistent phlegm-producing cold or cough. In a large pot, bring 3 cloves of garlic (cut in half) and 3 cups of water to a boil. 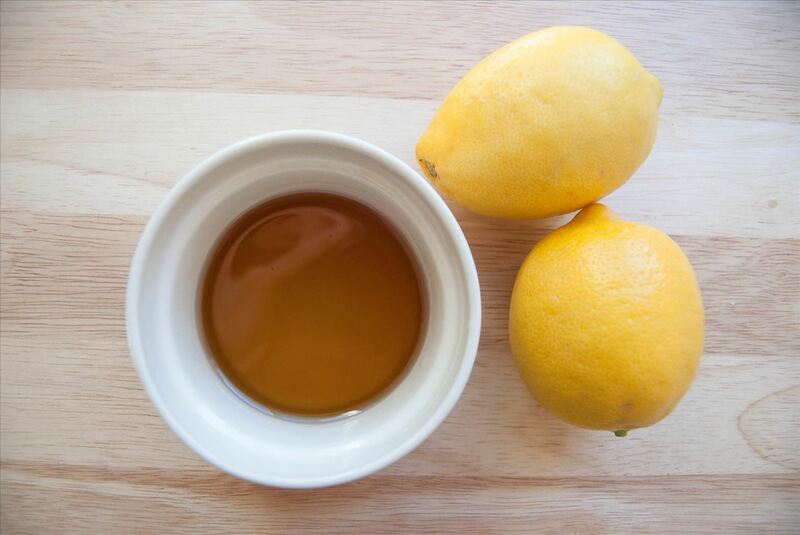 Turn off the heat once the water starts to boil and add ½ cup of fresh lemon juice and ½ cup of honey. Refrigerate the extra to use the next day. Here is a more complex recipe for an apple cider vinegar remedy that uses cayenne pepper (capsaicin, which is contained in pepper, is also a proven decongestant) and will have you feeling better in no time. 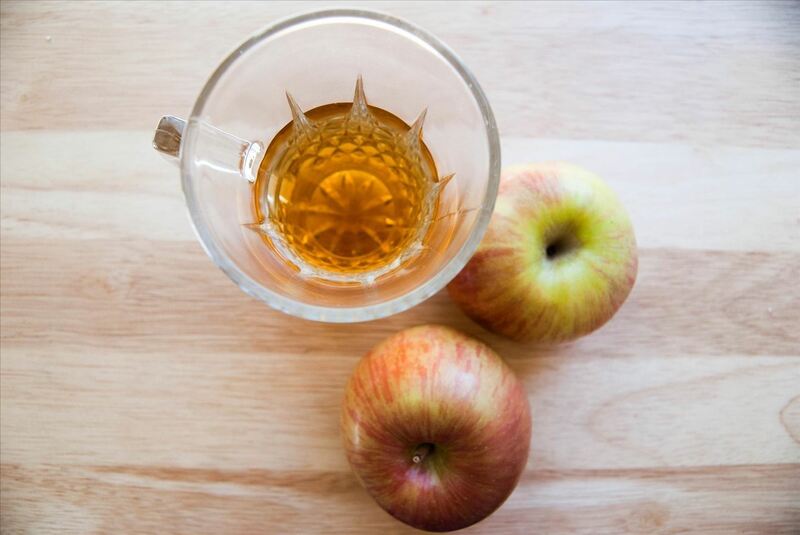 Mix apple cider vinegar and hot water in a small cup. Add cayenne pepper and honey to the mixture. Stir well. Catching a cold is no fun, but with these readily-available ingredients and tried-and-true recipes, you can reduce the duration of your symptoms drastically.